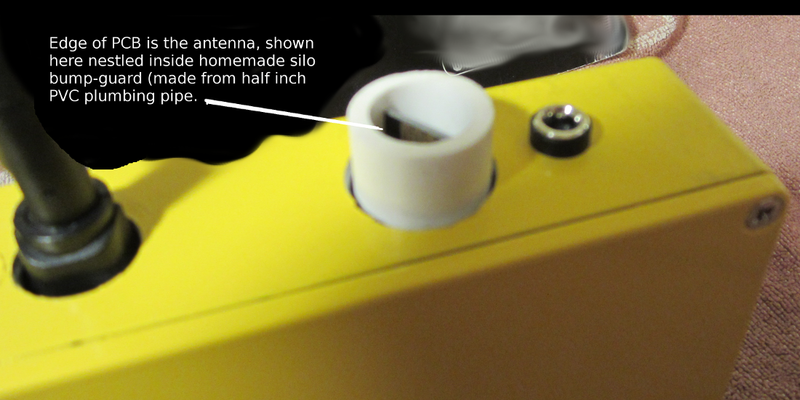 Figure 1: Homemade sleeve (made of .75 inch PVC plumbing pipe) protects the 2.4 GHz communication board’s antenna. Ok, so the PVC for the antenna silo is a little crude. It’s what I had in the junk drawer, and it seems to work OK. It was necessary to put a spacer between the PVC and the tap hole for the screw. I couldn’t find anything of the right size, so I used a plumbing seal (meant for a faucet). It was from a spring and seat set meant for single handle faucets. It works well as a little shock absorber. Figure 2: 2.4 GHz communications board, shown inside of homemade protection sleeve, with female header ends affixed by conductive glue. This is done because the end of the PCB contains the antenna, and the enclosure is aluminum. The PVC is affixed with a screw and tap hole underneath it (click to enlarge). Note: Never use an aluminum enclosure to contain batteries (especially lithium batteries). Aluminum makes nasty shrapnel. The other end of the female header connectors go to the 40 GPIO header on the Odroid. 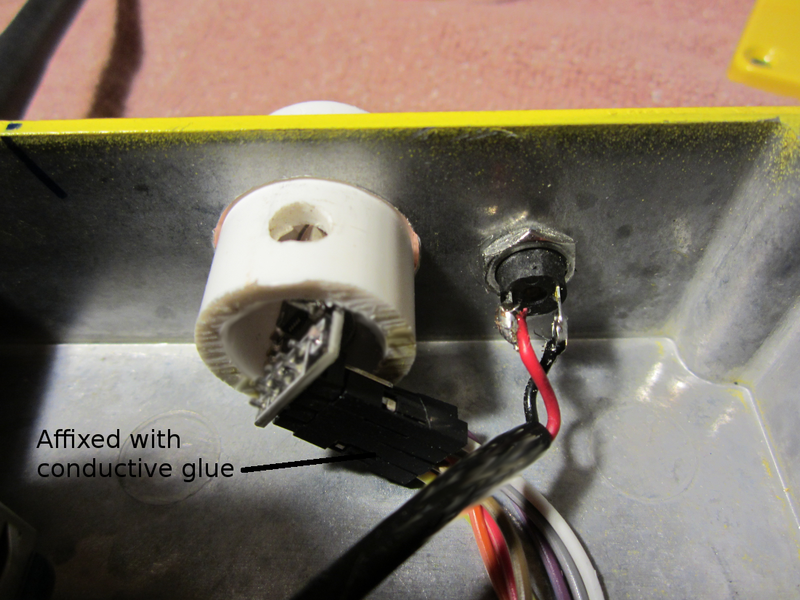 Below, I show those connections, made in a similar way, inside of the aluminum enclosure. Figure 3: Connecton of 2.4 GHz communication board to the 40 pin GPIO header (click to enlarge). Figure 4: The yellow box has been getting use around here for a while. This pic is from another blog page of mine (The Homemade Tablet’s Little Brother, IIRC). Of course it doesn’t show the comm board silo we’ve just added. OK, so it’s wired (we still need to tidy the wiring a bit, and put the leads down along the edge of the board. That will wait until we know it’s * really* working). For the first trials, I’ll use Linux. I’ll need some added configuration to set up the SPI bus, and some software. We’ll need some pull-down resistors (see the next page of this blog post for details on that). 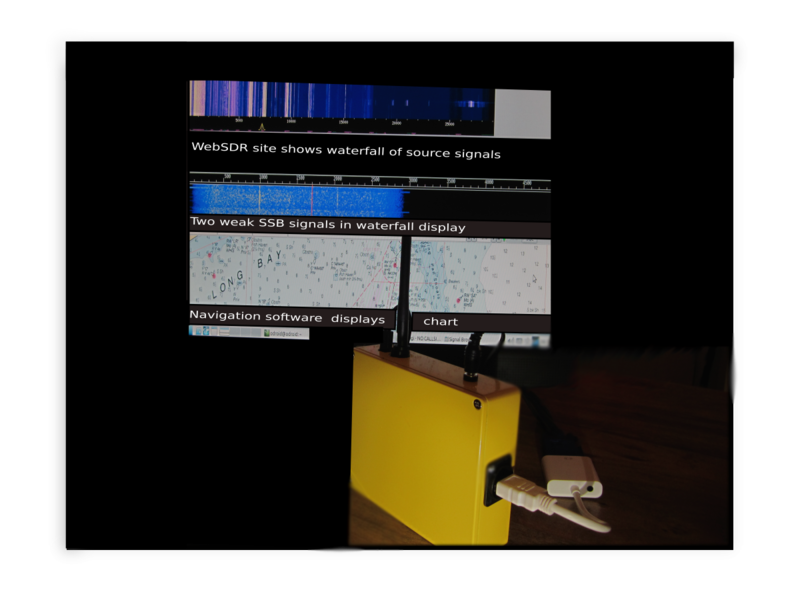 These actions should look familiar, as we needed the same software library to test our membrane keypad on the Raspberry Pi2 homemade tablet project, in another blog post. Note: The Odroid is a product made by Hardkernel at http://www.hardkernel.com. They are not affiliated with this site in any way. The nrf24 is a product of http://www.nordicsemi.com, and they are not affiliated with this author or website in any way. The Raspberry Pi2 is a product of the Raspberry Pi foundation (https://www.raspberrypi.org) and this author and site has no affiliation with them. “Raspberry Pi” is a trademark of the Raspberry Pi Foundation.